The warning was issued shortly after details enclosed in a document outlining government contingency plans to cope with a hard Brexit were unintentionally revealed. UK Chancellor Philip Hammond has said a no-deal Brexit is likely to result in further austerity measures and budget cuts, as the government is forced to “refocus” its priorities. Details of government preparations for a no-deal Brexit, dubbed Operation Yellowhammer, came to light after a photographer snapped a picture of the document, held by Treasury Minister John Glen outside Downing Street. The document revealed that Whitehall department can apply for additional funding, from a government pot of around £1.5 billion (almost $2 billion at the current GBP/USD exchange rate) but should first try “internal reprioritization” to come up with the funds for Brexit-related contingency plans. With Brexit less than eight months away, negotiations are ongoing in Brussels, but many politicians and economists predict a deal won’t be secured, resulting in a hard Brexit and the imposition of WTO tariffs and trade rules between the UK and the EU market. 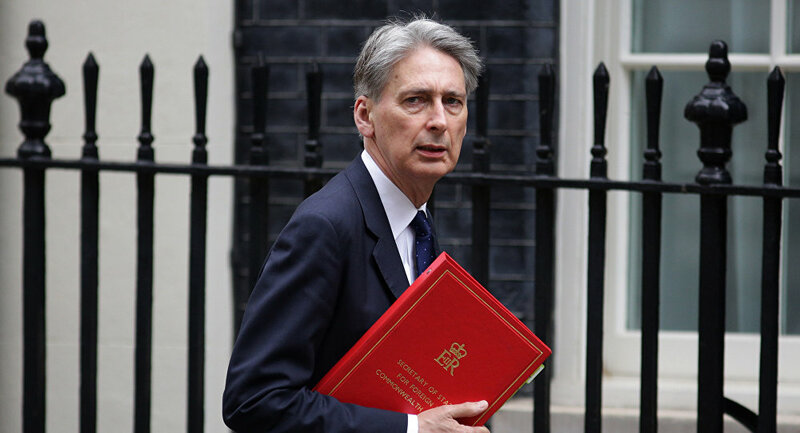 Hammond is set to present his Autumn Budget to parliament later this year, and with many public services, including the NHS, in dire need of funding, keeping all departments and stakeholders contempt will be no easy task. Under the Tory-LibDem coalition government, then-Chancellor George Osborne set about slashing the UK’s public debt, implementing a raft of controversial budget cuts, which were heavily opposed by the Labour Party.